Like it or not, we are living in the age of recycling and environmental awareness. For many centuries, mankind has taken from the Earth, with little or no regard for the future, and the time has come to replenish Mother Nature and preserve what we still have in terms of natural resources. This happens on many levels, and although governments encourage an eco-friendly approach, there are things the homeowner can do to promote the well-being of the planet. Here are just a few ways you can do your bit for the environment. Many people have an ageing vehicle stuck in the corner of the property, and before long, it blends in with the background and is forgotten. Whenever you do think about the car, the logistics make it something to put on the back burner, after all, it isn’t hurting anyone, is it? Actually, it is. It is not good for the environment, what with the engine oil and other toxic materials, not to mention the battery. The bodywork will corrode, and nature will try to reclaim the area, but there is an alternative. Simply call in a scrap metal dealer, who will arrange for the removal of the car, at no expense to you! By calling in a scrap metal dealer, you can be sure the car will be recycled correctly, and the service won’t cost you a thing. The average household accumulates things in an ongoing way, and every now and then, it is a good idea to look at what you have, and if it is sufficient, call your local scrap metal company, and not only will they collect it, you will probably make a little money as well. Old washing machines, derelict barbecues, and old bicycles can all be sold to the scrap metal dealer, and with a fast and efficient service, you can soon reclaim that area. We are all guilty of this to some degree, and it is often very difficult to let something go, as there might be a time when you need it, or it could be fixed if you had the time, and so things accumulate. 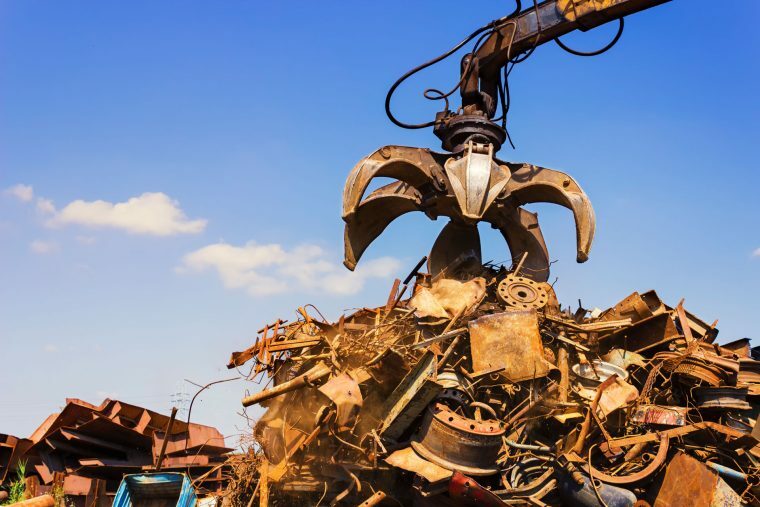 If this sounds familiar, then once a year, take a look at what you have, and contact your local scrap metal dealer, who will come and remove it for you, while paying the market price. If you are in Western Australia, we at Martins Scrap Metals offer a comprehensive collection service, and we know how to recycle, so you can be sure you are doing the right thing. Whatever it is, simply contact us, and we will arrange to take it away with the minimum of inconvenience. This is a great idea, and you can colour code for easy identification. Your daily garbage can be split into, plastics, bottles and glass, aluminium cans, and any biodegradable stuff should be put on the compost. There is a lot one can do to be eco-friendly, and responsible disposal of waste is just one way to help our planet, so make some changes at home and get the family involved, and then you can all make a difference.